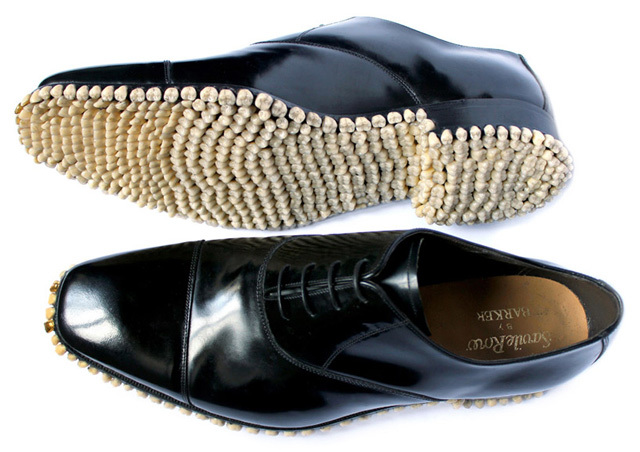 In 2010, artists Mariana Fantich and Dominic Young of fantich&young created Apex Predator Shoes, a pair of shiny black Savile Row oxford shoes soled in 1050 teeth dentures. 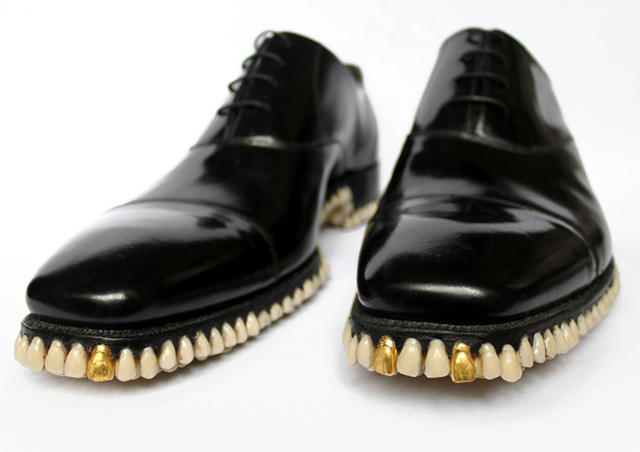 Especially amusing are the gold teeth they added to the front of the shoes. 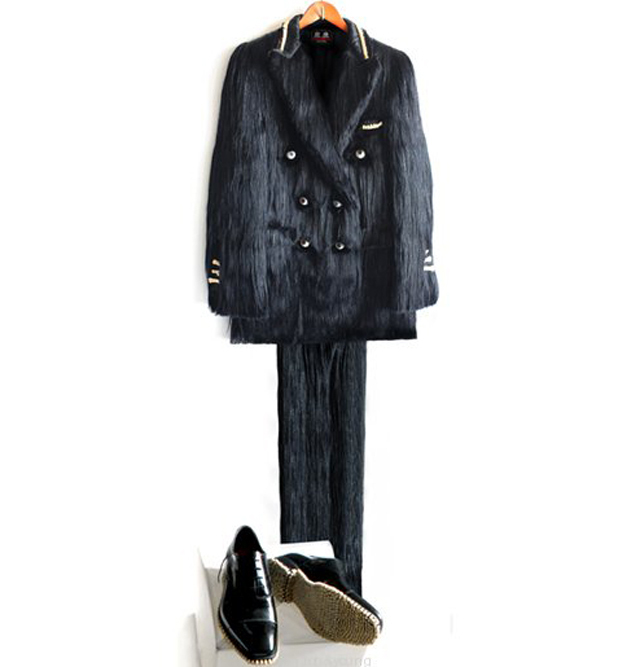 In 2011, they created a complementary Apex Predator Suit. 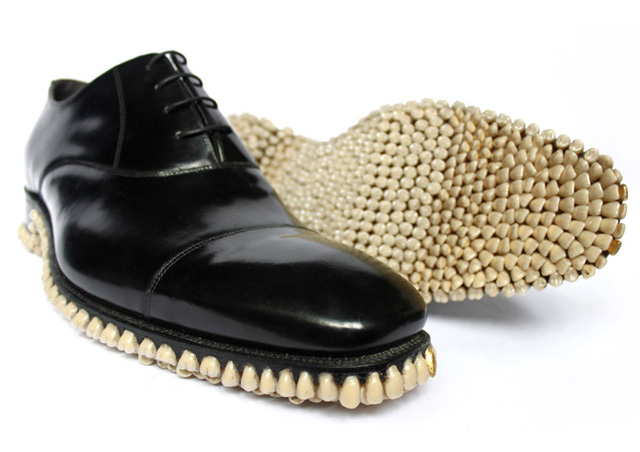 It is made with human hair, glass eyes, and dentures.